JAMES A. BAKER, III, served as Secretary of State under President George H.W. Bush, Secretary of the Treasury under President Reagan and White House chief of staff under both. He is a senior partner in the law firm of Baker Botts. MARTIN FELDSTEIN served as Chairman of the President’s Council of Economic Advisers from 1982 to 1984 under President Reagan. He is the George F. Baker Professor of Economics at Harvard University and President Emeritus of the NBER. 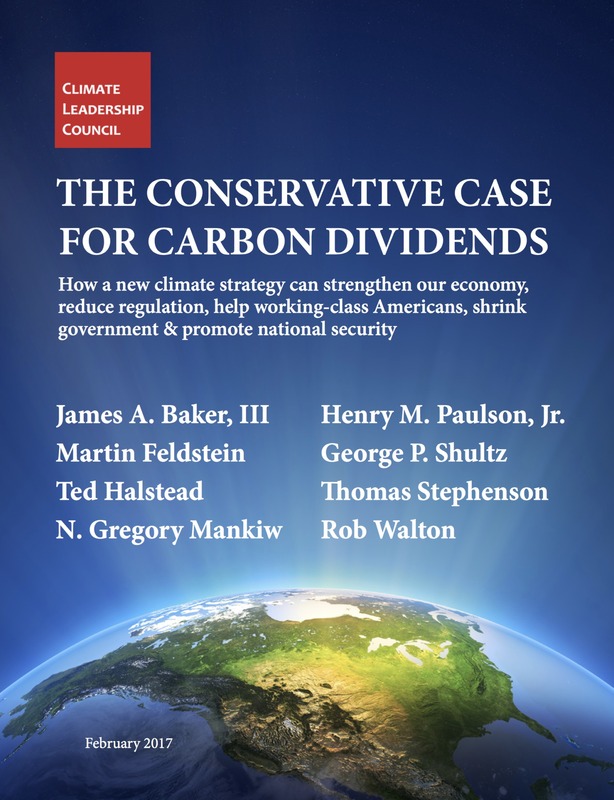 TED HALSTEAD is the founder, Chairman & CEO of the Climate Leadership Council. Previously, he founded New America, a leading public policy think tank. He is co-author of The Radical Center: The Future Of American Politics. N. GREGORY MANKIW served as Chairman of the President’s Council of Economic Advisers from 2003 to 2005 under President George W. Bush. He is the Robert M. Beren Professor of Economics at Harvard University. ROB WALTON served as chairman of the board of Walmart, the world’s largest retailer and employer, from 1992 to 2015. He is currently Chairman of the Executive Committee of Conservation International.